Wilson, Pamela D. 3/4/16. “10 Caregiving Mistakes.” Connecting Women Medias. Jackson, Susan, Wenner. 1/13/16. “10 New Year’s Resolutions for Caregivers.” Working Moms Against Guilt VIP. Wilson, Pamela D. 12/28/15. “5 Tips to Maintain Balanced Emotions While Caregiving.” Michigan Mom Living Online Magazine. https://michiganmomliving.com/2015/12/18/5-tips-to-maintain-balanced-emotions-while-caregiving/. Wilson, Pamela D. 12/11/15. “Caregiver Tips: 10 Positive Responses to Tough Family Situations.” Working Moms Against Guilt. Wilson, Pamela D. 12/1/16. “Lack of Standards Enables Exploitation by Guardians.” Aging News Alert: The Senior Services and Funding Report. CD Publications. Wilson, Pamela D. (2009-2011). 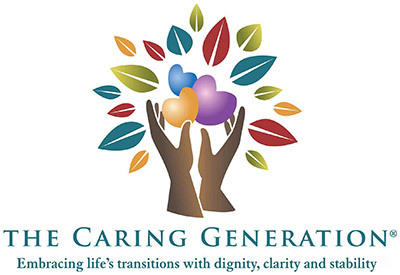 The Caring Generation Radio Weekly Program. 630 KHOW Radio. I Heart Media. Denver, CO.
Are you an overwhelmed caregiver? Is stress affecting your mental and physical well-being? Take our survey and receive information to help you manage stress. Visit our library of FREE information. Subscribe to receive access to members only articles, videos, and podcasts.